Please note that unless otherwise indicated, all monthly chapter meetings are held in Rm 111 in the Fisher Auditorium on the OARDC/Ohio State University campus, 1680 Madison Ave., Wooster OH. Chapter meetings are held the second Monday of the month from September through May, starting at 7:15 PM. Doors open at 6:45 PM, so come early and meet up with friends and catch up on what’s new. 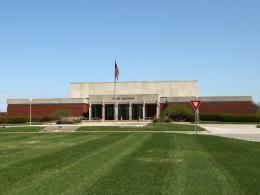 Fisher Auditorium facing west side. Enter Room 111 from the north side of building by the big parking lot. 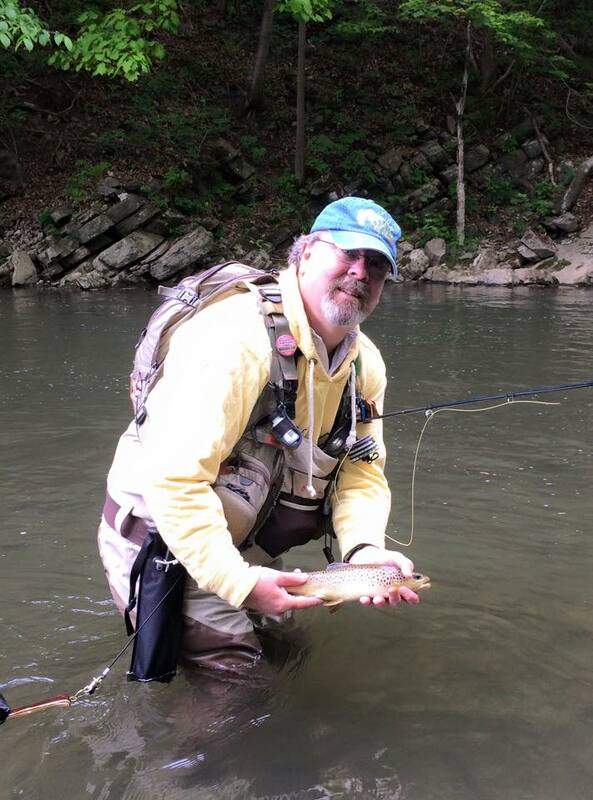 Details: Kevin Ramsey will focus on dry fly fishing tactics on the Clear Fork River and beyond. The power point presentation will include dry fly pattern types, strategies on how and when to fish them, and turning into a detective looking for visual clues that improve your fishing success. Kevin is a retired Ohio State Wildlife Officer. He retired in 2009 after serving 30 years for the Ohio Division of Wildlife. He was the law enforcement supervisor for the Lake Erie Law Enforcement Unit in Sandusky. Now he has part time appointment with the Great Lakes Fishery Commission as their law enforcement specialist. He is also the regional coordinator for Project Healing Waters Fly Fishing. Kevin fly fishes whenever he can. He likes to fish rivers and streams for trout and also enjoys fly fishing on Cape Cod for stripped bass. He enjoys fly tying and has been a guest fly tier at several fly fishing shows including the international fly tying symposium. 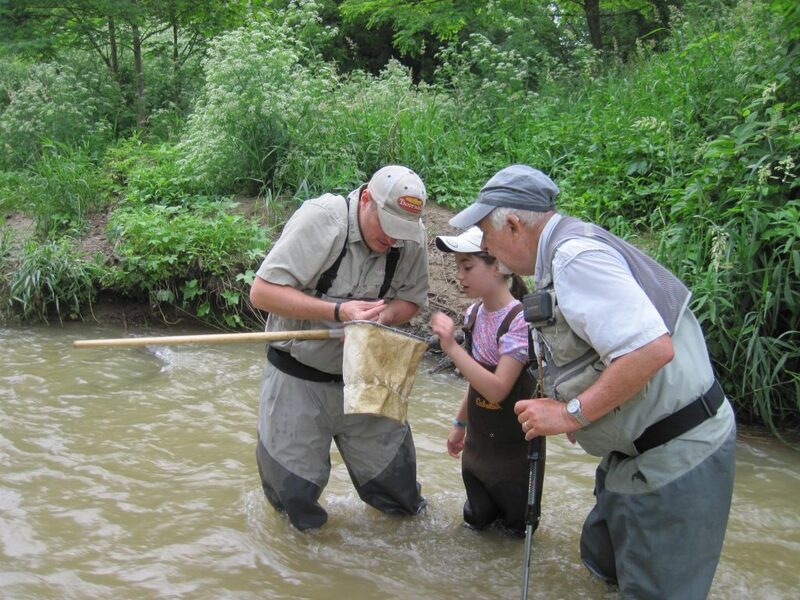 He also teaches fly casting and instructs fly fishing workshops for the Ohio Division of Wildlife each year. The monthly raffle will feature a Temple Forks Outfitter, 8’9″, 4-wt Finesse Fly Rod and matching BVK reel valued at $440. This new rod from TFO was designed for fishing small streams and casting dry flies, but can be used for nymphing as well. The rod is a perfect compliment to Kevin Ramsey’s presentation on tactics for fishing dry flies. Other items will be included in the raffle including flies tied by our chapter members. Kevin Ramsey with a Clear Fork River brown trout. 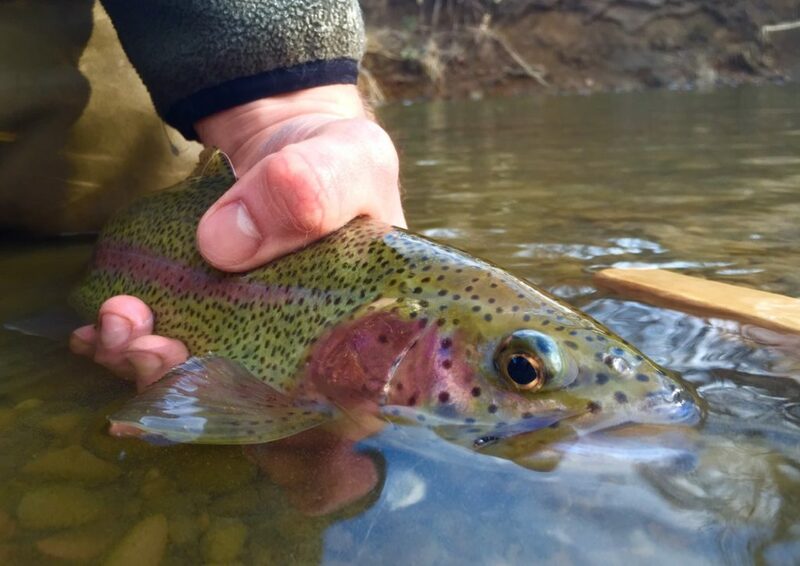 Mike Dull will talk about fly fishing for trout in Oil Creek, PA.
Nick Wisda will discuss fly fishing for trout in the Rocky Mountains. Gary Newton will delight us with his experiences fly fishing for steelhead in Michigan. 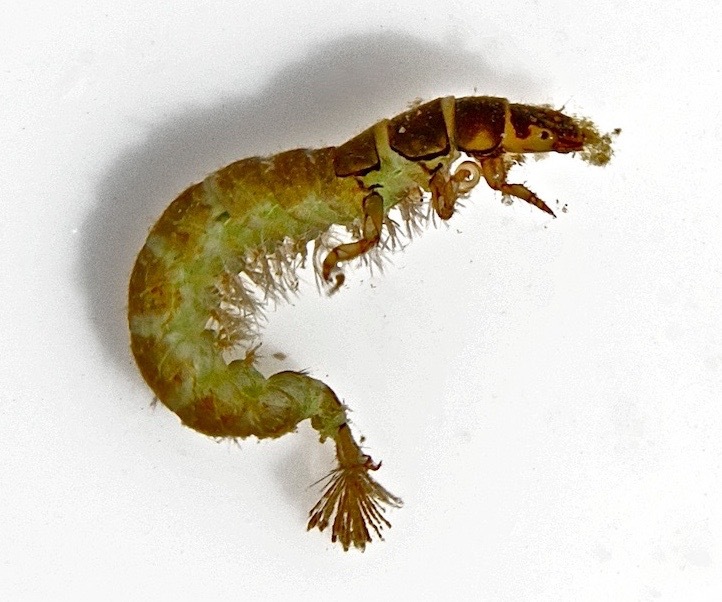 Event: Macroinvertebrate Survey, Apple Creek at Grosjean Park. Date: Saturday, 6/22/19 Time: 10:00 a.m. – 12 noon. Come with your waders, boots or dare to wet wade as we conduct our annual macroinvertebrate survey of Apple Creek at Grosjean Park in Wooster. We will meet at the Grosjean Park Kiosk. We will supply collecting nets and tools to separate out, identify and record what we find. Family members, and your friends are all welcome to join in and share in the fun. Looking through kick seine samples for macroinvertebrates. 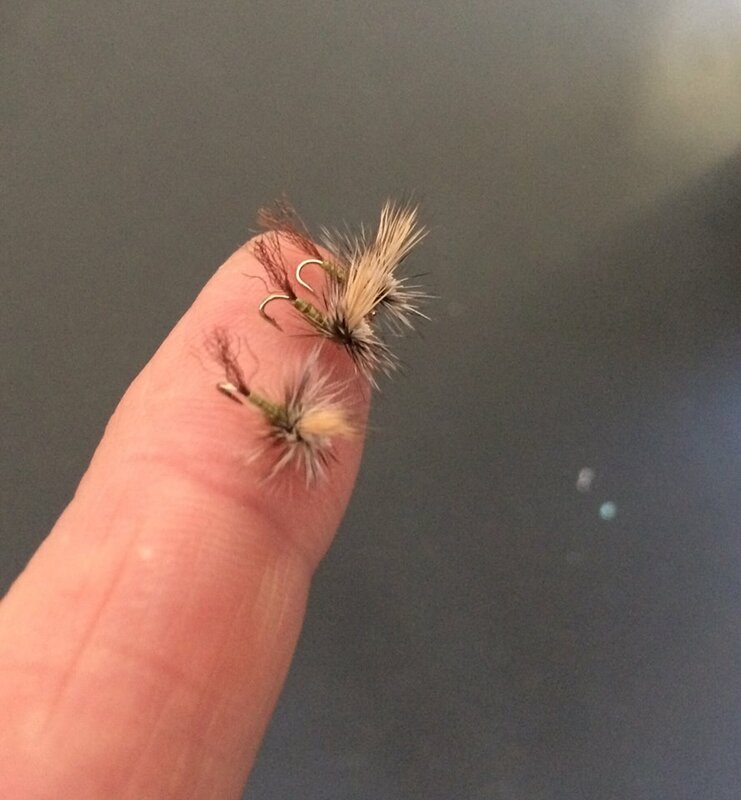 Dip net sample yielded a trove of stone fly nymphs. Date: 9/9/19 Time: 7:15-9:00 p.m. Program to be announced later in this space. Event: October 2019 Chapter Meeting and Annual Meeting. Date: 10/14/19 Time: 7:15-9:00 p.m. Details: The meeting will start with business followed by an election of new officers and Three new board members. 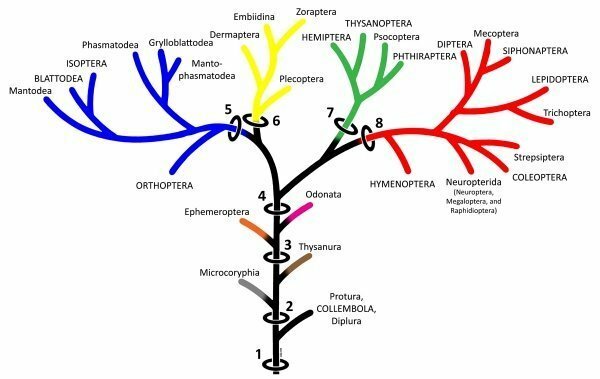 Evolutionary tree of the insects. Date: 10/11/19 Time: 7:15-9:00 p.m. 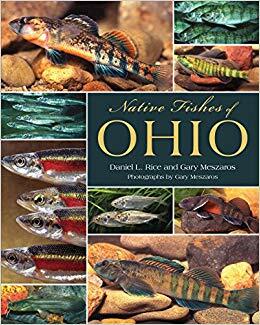 The featured speaker is Smithville’s Dan Rice, the author of the recently published “A Naturalists Guide to the Fishes of Ohio.” The coauthor of the book is Brian Zimmerman who provided all of the color publications of fish covered in the book. Date: 12/9/19 Time: 7:15-9:00 p.m.
Our featured speaker is Dan Herms, from Davey Tree Expert Company, whose topic is “Climate Change and Arboriculture: As the Earth Warms, Trees Feel the Heat.” The discussion following Herms presentation will include impact of global warming on cold water fisheries. Herms retired from the Department of Entomology at The Ohio State University as professor and chair of the department in 2018 to assume the position of Vice President for Research and Development for Davey Tree Expert Company. He has conducted pioneering studies on the ecology of tree pests including the Emerald Ash Borer, an introduced beetle that is quickly killing Ash trees in the Eastern U.S. His studies also focused on interactions between trees and insects, and he was a member of the OSU Climate Change Outreach Team. He now heads all research and development for Davey Tree, the world’s largest full service tree care company. The earth has warmed markedly since the beginning of the industrial revolution. Most of this warming has occurred over the last 40 years with impacts on flora and fauna that are already apparent and are predicted to intensify. This discussion will examine patterns and causes of this warming, climate change projections for the rest of this century, and impacts on biodiversity including distribution and abundance of trees, insects, and other species. The CFRTU Chapter is always looking for speakers for our monthly meetings. Please Contact Us for suggestions for speakers on fly fishing, conservation of aquatic resources and related topics.